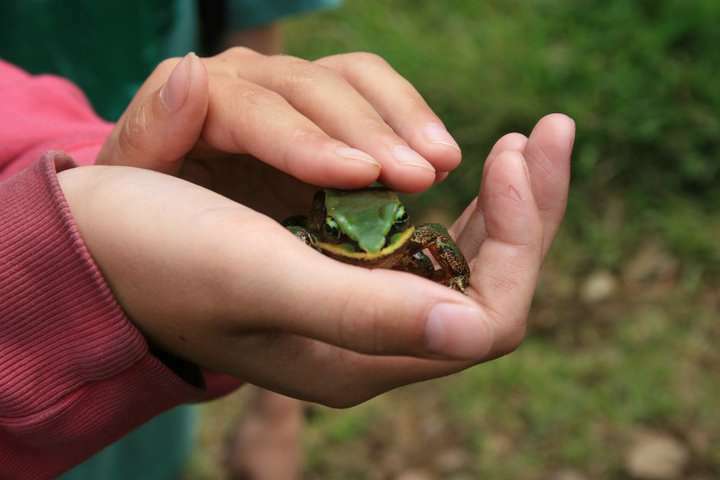 North Carolina elementary students' priorities for which wildlife species to protect closely matched those of conservation biologists but differed significantly from adults' rankings, a North Carolina State University study found. "If wildlife conservation's goal is to protect species for future generations, shouldn't we get kids involved? They're the ones who will live with the results of those decisions," said co-author Kathryn Stevenson, a postdoctoral research at NC State and former North Carolina science teacher. Researchers surveyed a sample of more than 400 third- and fifth-graders from 16 public elementary school classrooms across the state. Children were asked to rank the importance of five wildlife attributes: species with declining numbers, species that are important in nature, wild animals that live nowhere else but North Carolina (endemic species), wild animals that people like to watch and wild animals that people like to eat. Students also chose how to divide a set amount of money to dedicate to conservation efforts for wildlife in each of the categories. Assigning wildlife conservation money to each species helps make the point that priorities are important because funds are limited and it's not possible to protect all species equally, said lead author Kristin Frew, an NC State graduate student examining the value of wildlife species in North Carolina. Students in co-author Nils Peterson's Human Dimensions of Wildlife class helped with data collection. The children's rankings looked a lot like those of conservation biologists. Kids' top priorities - and recipients of most money - were species with rapid population declines, followed by species that had important ecological roles. Wildlife that people like to eat were third on the kids' list, followed by endemic species. Similar studies with adults have shown that they place a high value on endemic wildlife species that are found only in a particular area. "I wouldn't say the results are surprising, but they are encouraging," said Stevenson, a former North Carolina science teacher. "It will be interesting to see if these priorities endure over time and whether kids can have an influence on their parents' ideas about wildlife conservation." More information: "Are we working to save the species our children want to protect? Evaluating species attribute preferences among children" Authors: Kristin Frew, M. Nils Peterson and Kathryn Stevenson, NC State University, Published: May 4, 2016 in Oryx.